Do you need a massage chair that is extremely therapeutic and beneficial? Is a deep tissue massage a must for your sore feet and painful back? Do many massage chairs seem promising but none deliver? One of the biggest massage chair brands, Osaki, promises to provide you with the ultimate therapeutic massage experience from the comfort of your home. Titan Pro Executive massage chair can heal your body, provide instant relief, and boost your circulation and your satisfaction levels. We’ve thoroughly reviewed this massage chair to help you find the relief you require. I advice you to read our best massage chair guide first and come back after for the review. 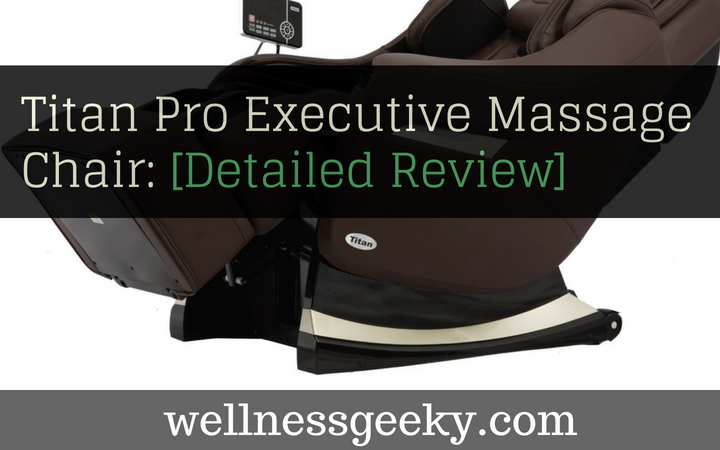 Have a look at the features and the drawbacks of Pro Executive below! We have reviewed a number of Osaki massage chairs (models listed here), and a lot of them popular with their users. Titan Pro massage chair boasts with impressive features and advanced massage technology, such as 3D roller system and an option for a full body stretch program. With a heavy focus on deep tissue massage, the following features should leave you rejuvenated from head to toe. The S-track design is quite a standard even though it is a slightly disappointing feature in this price range. While it is still beneficial, the S-track follows the natural curve of your spine, but it doesn’t extend all the way to the glutes as thighs, as does the L-track. The Osaki company seemed to be aware of this drawback, which is why they also installed a 3D massage roller technology to accompany the S-track. The 2D technology is able to move up and down your spine as well as side to side. The 3D technology is able to move in and out as well. This is a welcome upgrade for many, looking especially for a deep tissue massage. Moreover, the massage rollers are able to extend 32”. In other words, anything from your neck all the way to your tailbone can get a soothing massage. Moreover, you can also adjust the width of the massage as well. Titan Pro comes with two-level zero gravity mode. The feature, originally designed by NASA, is a very beneficial aspect of any massage chair. 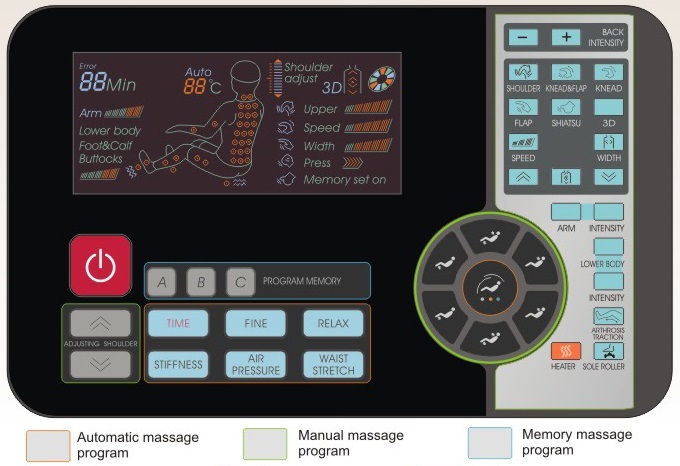 It enables a deeper, more thorough massage as well as a complete relaxation of the user. By placing you in a zero gravity position, your knees are elevated above your heart. That means your own body’s weight is pressing down against the rollers of the massage chair. This way, the massage is even more therapeutic. It’s a great addition for any who suffer from chronic back pain. Body scan technology is a beneficial feature which improves the quality of the massage. What happens is that the chair scans and locates your pressure points. This is a very common feature in many massage chairs. The chair adjusts the rollers according to your pressure points. That way, it makes sure not to miss any of your points. 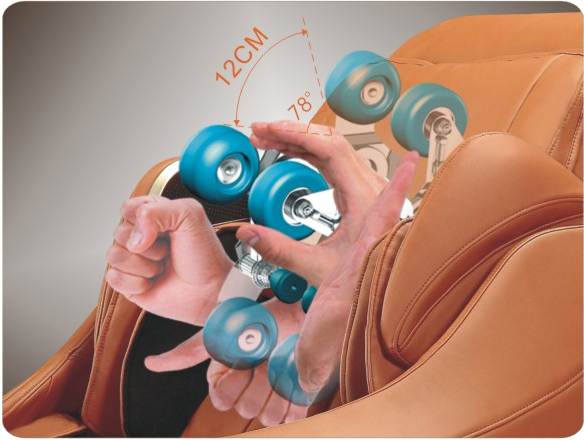 Many massage chairs have an option to manually adjust the rollers, in case the chair misses any. Unfortunately, this is not the case with Titan Executive. It would make a great addition to already numerous features. 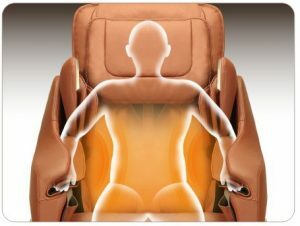 Titan Executive comes with five different massage techniques. You can choose from Shoulder, Knead, Flap, Shiatsu, and a combination of Knead and Flap. Moreover, a spot/partial massage mode is another beneficial feature this massage chair has to offer. It enables the chair to focus on a specific sensitive spot and provide relief to that specific area of your body. If you’re looking for a neck and shoulder massage program, Titan can do that too. This is an extremely rare feature and a very beneficial one at that. The only drawback is that due to the lack of online reviews, we cannot be sure if this feature works great for all users, or only in a specific height range. For those of you suffering from chronic back pain, Pro Executive comes with a back twist option. It is able to stretch your legs, your back, and your waist. Another soothing feature that lacks reviews. Normally, this is a great addition and truly therapeutic. But with Titan, we’re at the moment unsure if it’s too strong or too soft. The users can choose from various massage durations, anywhere from 5 to 40 minutes. Heat therapy with Titan Pro comes in the lower back area and the calf area. The heat therapy in itself can already greatly benefit the overall massage as well as provide therapeutic benefits to that specific area. This is an excellent addition. Unfortunately, we weren’t able to find any information whether the temperature can be controlled. Normally, it’s just binary- it’s either on or off, so we assume it’s the same principle with this massage chair model. 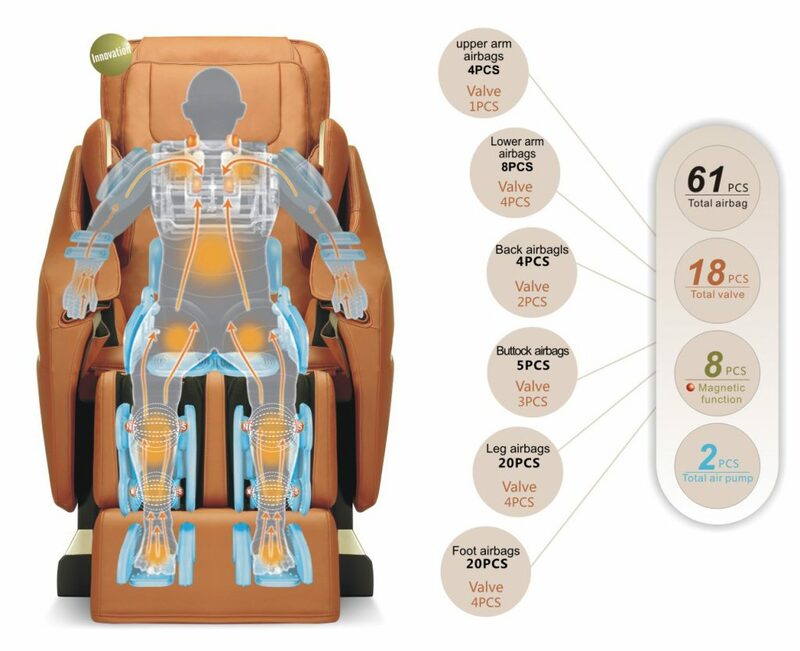 There are 61 airbags placed around the Pro massage chair. They’re located in the arm, buttocks, thighs, shoulder, arms, calf and foot areas. 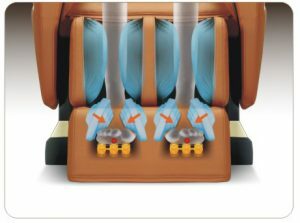 The users can regulate the intensity of the air massage to their preference. 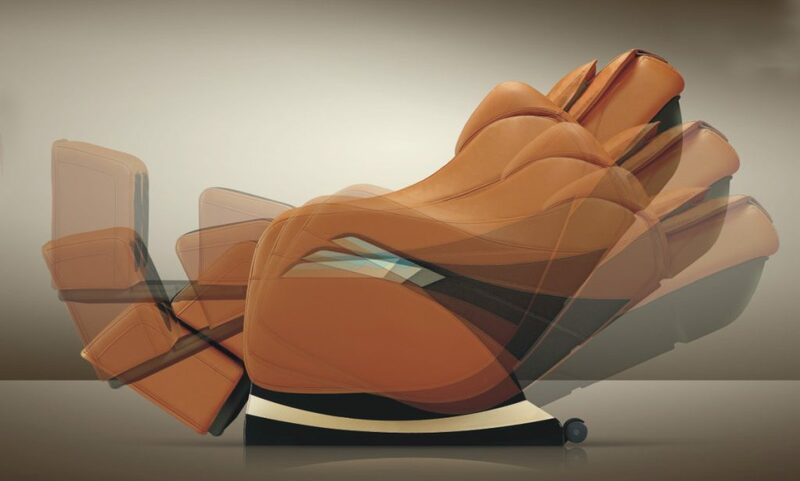 With 40 airbags in the foot and calf area, this massage chair promises to deliver a massage that will boost the circulation in your legs, relieving them of any stress and pressure. Titan Pro comes with mechanical foot rollers; there are three rows of massage rollers installed in the foot area. For those who spend a lot of time on their feet, this is absolutely a welcome addition to this massage chair. Therapeutic and soothing, these rollers are able to provide you with a real relief. For some users, the foot rollers may seem slightly intense. What’s more, some users reported their legs being literally squeezed out of the position because the airbags are quite strong. The LCD remote is a relatively easy to use. It requires no special learning curve, but it does demonstrate the process of the massage to you during the massage itself. 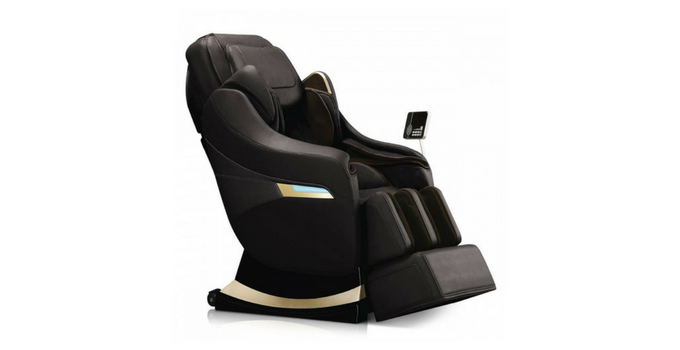 Osaki is an off-brand massage chair company, a very popular one on the market. They’re located in Texas, Carrollton. 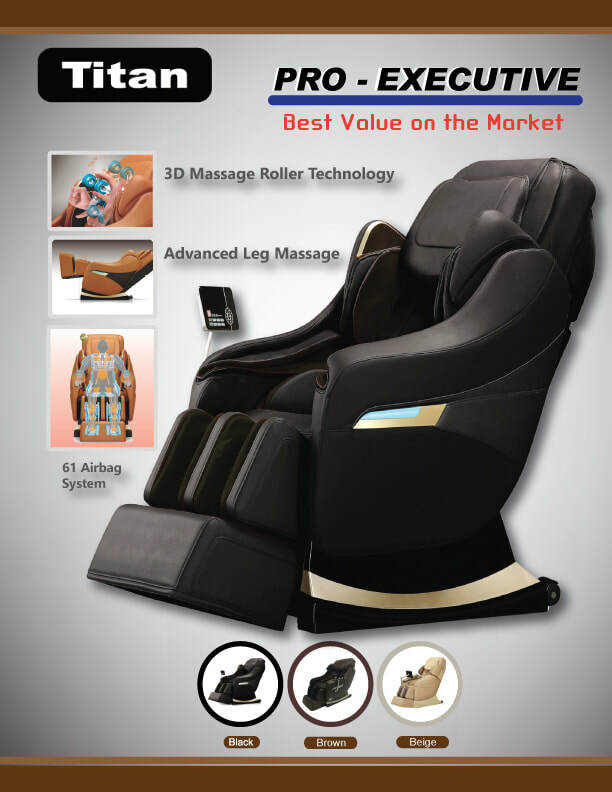 Titan Pro Executive is part of their Titan massage chair line. You can find out more about the company on their website, where they also promote eye massagers, foot and seat massagers, and more. Titan massage chair is manufactured in China. This massage chair comes with a three-year warranty. The first year covers parts and labor; the other two years are for parts only. You can have a look at the warranty information at this link. You can purchase an additional extended warranty for one or two years for an additional fee. Titan Pro is made of synthetic leather. It comes in various colors: black, brown, beige, and red. This massage chair can be shipped also to Canada and internationally. In this case, the taxes and duties must be paid upon receipt of the shipment. The potential customers can either choose a free curbside delivery or pay for a White Glove Delivery. The fee is $250. The chair weighs 276 lbs. and is recommended for people up to 285 lbs. it can accommodate users from 5’ to 6’5”. Titan Executive does seem to have it all at first sight. The majority of its features are there to provide the most soothing and deep tissue massage there is. Legs, back, and arms, almost all parts of the body are included in the massage. Whether you’re looking for a body stretch of a shoulder massage, you only need to choose the settings and combine the massage to your taste. Unfortunately, Titan Pro does come with drawbacks that were a huge disappointment to some users. The calf and arm massage are very intense, the chair seems too constrictive, and the extremely poor manual just doesn’t seem to be worth the try. What’s more, it fails to accommodate petite users or users above the average height comfortably. In any case, this massage chair is still a good value for money. Though on a slightly more expensive side, it still is very beneficial. The majority of massage chairs come with some drawbacks, so Titan Pro is no exception. If you want to be really sure, we’d suggest you try the chair before you decide to purchase it.